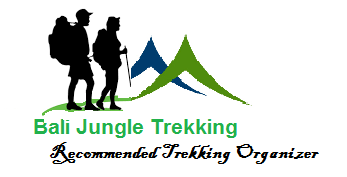 Mountain climbing is a challenging outdoor activity. 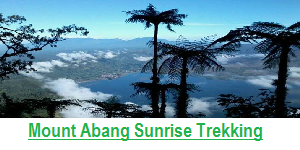 Mount Batur is a very good place to do that. 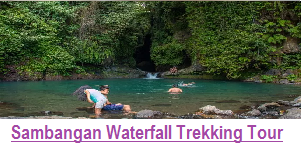 It is very good as it is located in a high land of the centre of Bali island. As a result it has a cool weather. It also has a wonderful panorama. Additionally it has a very exotic caldera lake we can enjoy. Mount Batur is an active volcano located at the center of two concentric calderas north west of Mount Agung on the island of Bali, Indonesia. The south east side of the larger 10×13 km caldera contains a caldera lake. The inner 7.5-kilometer-wide caldera, which was formed during emplacement of the Bali ignimbrite, has been dated at about 23,670 and 28,500 years ago. The first eruption of the volcano was in 1804 and since then it has undergone several eruptions and the most recent one was in 2000. The eruption that brought this volcano to be visible above the ocean is one of the most forceful across the earth. This volcano is marked by a collapsed top, called a caldera. The southeast wall of the inner caldera lies beneath Lake Batur; Batur cone has been constructed within the inner caldera to a height above the outer caldera rim. The Batur stratovolcano has produced vents over much of the inner caldera, but a NE-SW fissure system has localized the Batur I, II, and III craters along the summit ridge. Historical eruptions have been characterized by mild-to-moderate explosive activity sometimes accompanied by lava emission. Basaltic lava flows from both summit and flank vents have reached the caldera floor and the shores of Lake Batur over its history. The caldera contains an active, 700-meter-tall stratovolcano rising above the surface of Lake Batur. The substantial lava field from the 1968 eruption is visible today when viewed from Kintamani, a town that straddles the southwest ridge of the greater caldera. The lake, “Danau Batur”, as the local people call it, is the largest crater lake on the island of Bali and is a good source of fish, as well as drinking water for Bali. 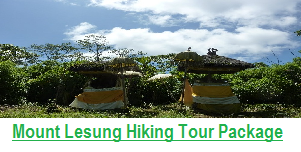 The caldera is populated and includes the four main villages of Kedisan, Songan, Trunyan and Toya Bungkah, among a total of 15 villages. 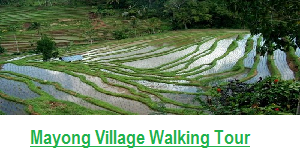 The locals largely rely on agriculture for income but tourism has become increasingly popular due to the relatively straightforward trek to the summit of the central crater. 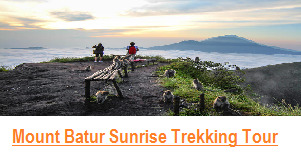 On September 20th, 2012 UNESCO made Mount Batur Caldera a part of the Global Geopark Network. 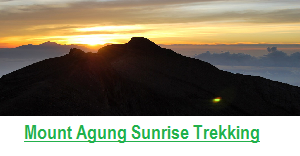 Want to know more detail itinerary for Sunrise Trek in Bali ?